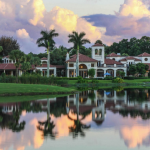 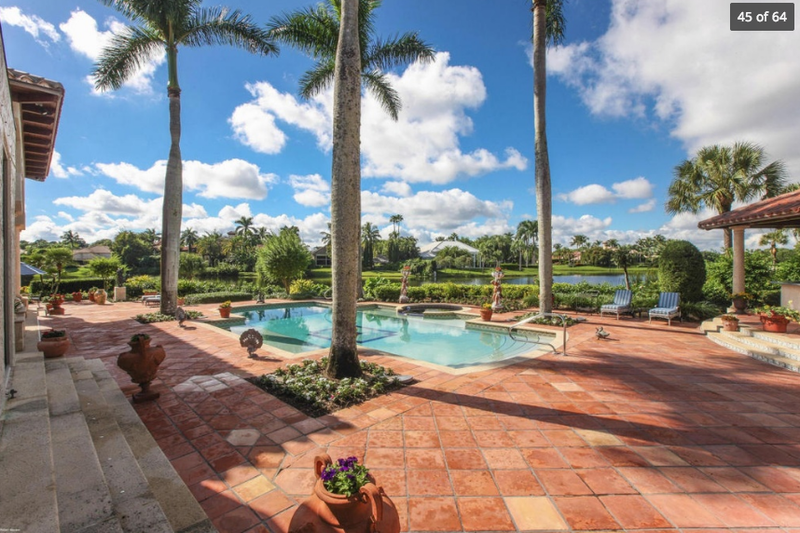 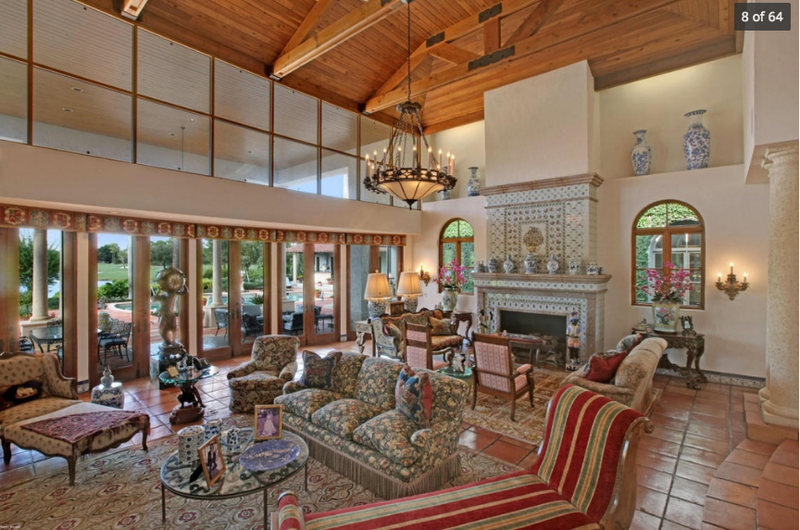 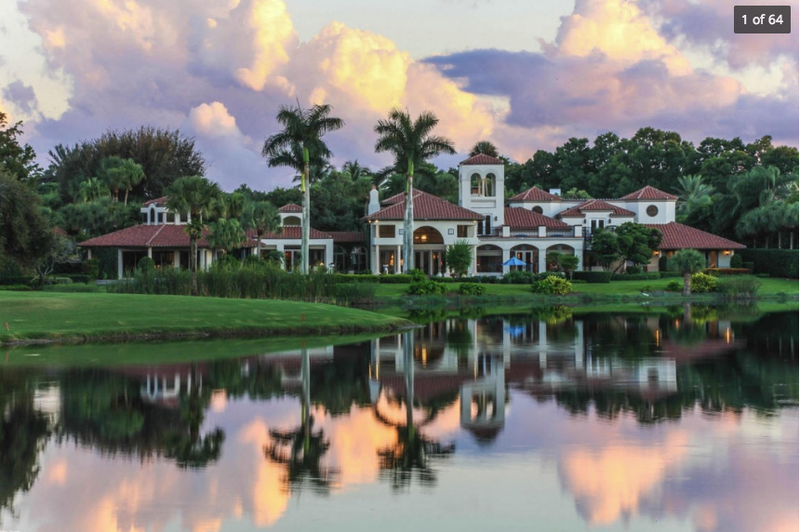 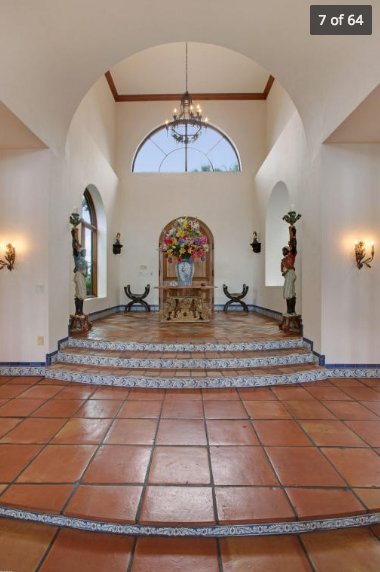 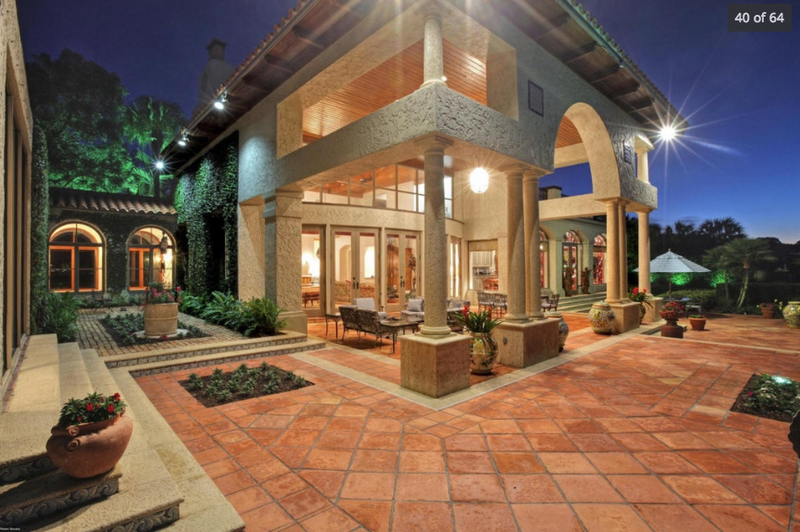 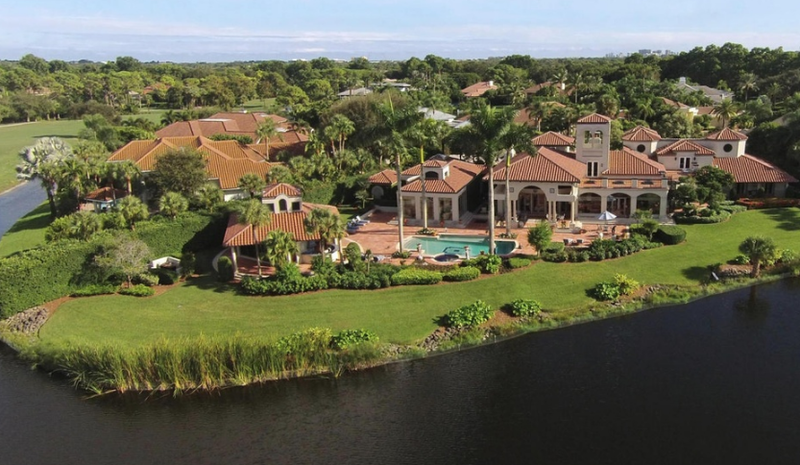 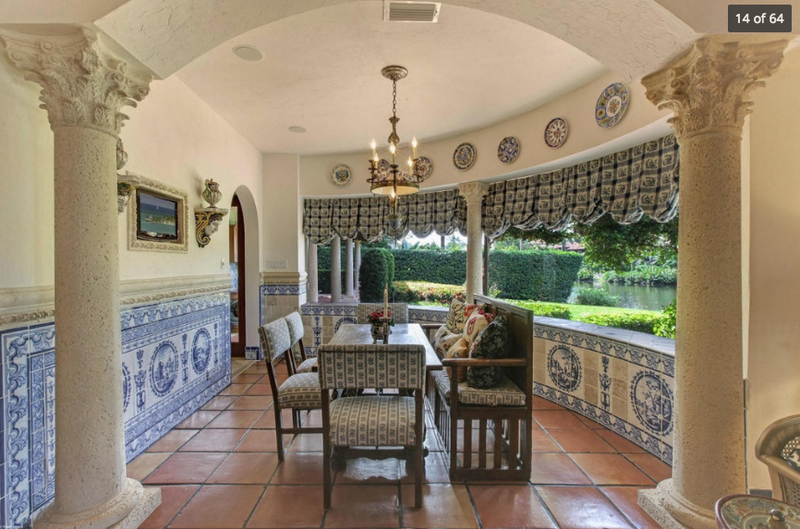 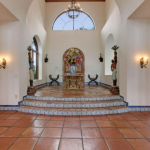 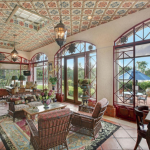 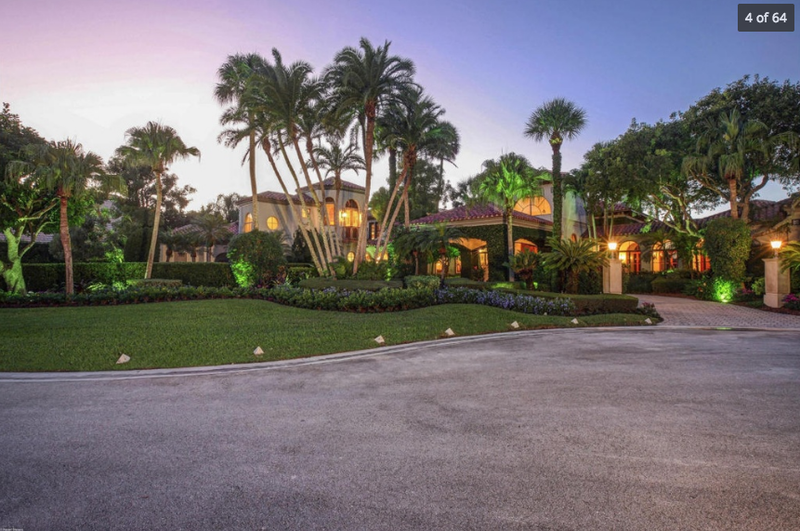 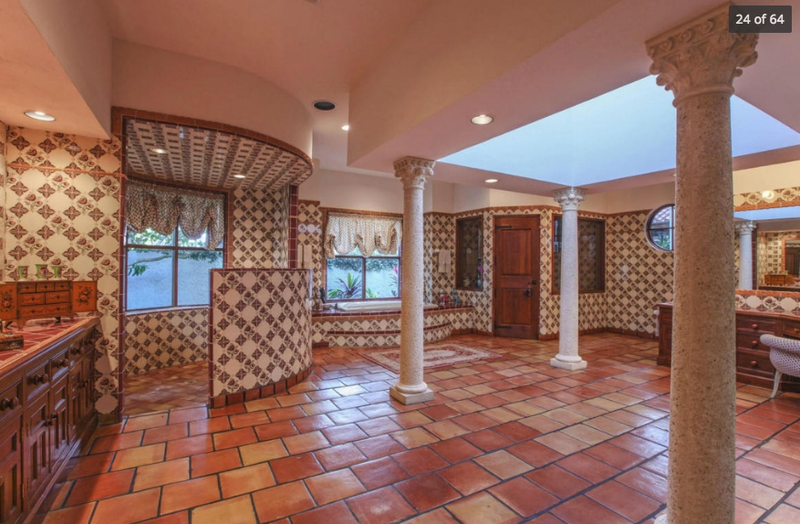 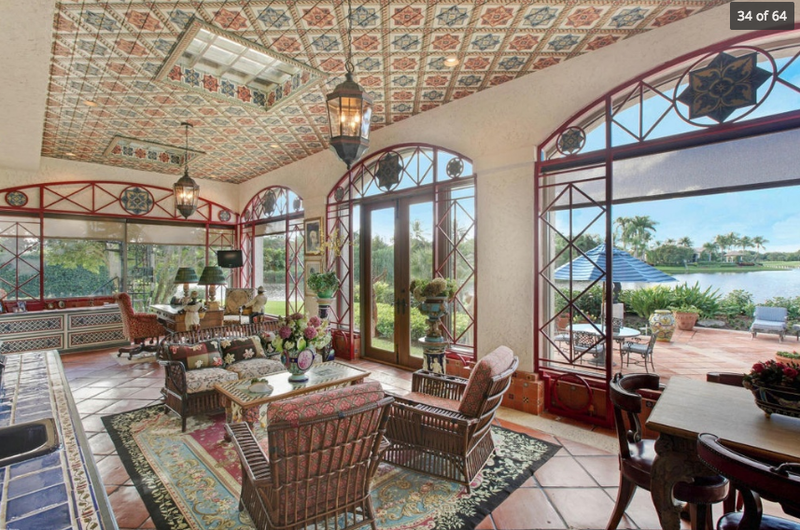 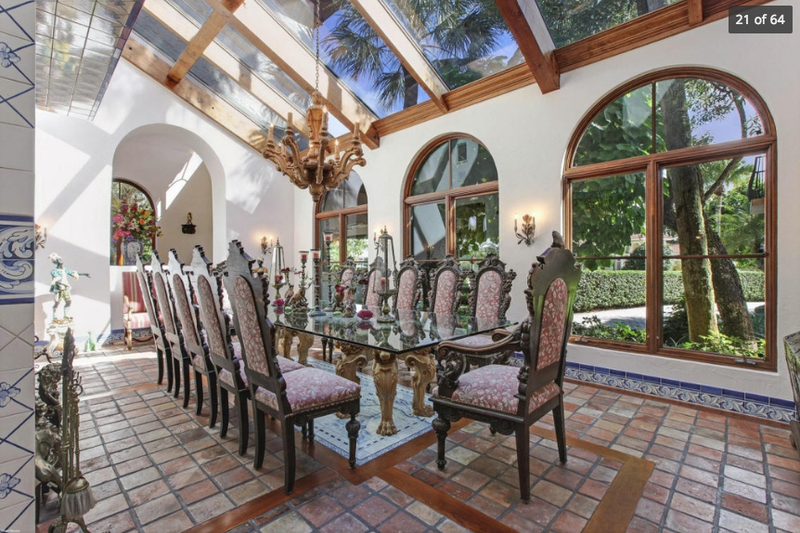 This European inspired lakefront mansion is located at13101 Monet Lane in Palm Beach Gardens, FL and is situated on an acre of land with 300′ of water frontage. 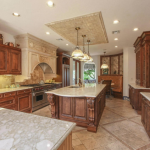 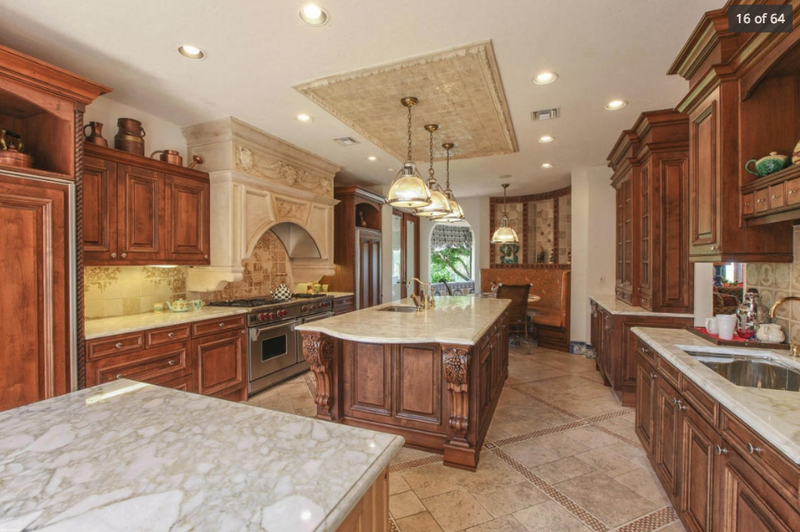 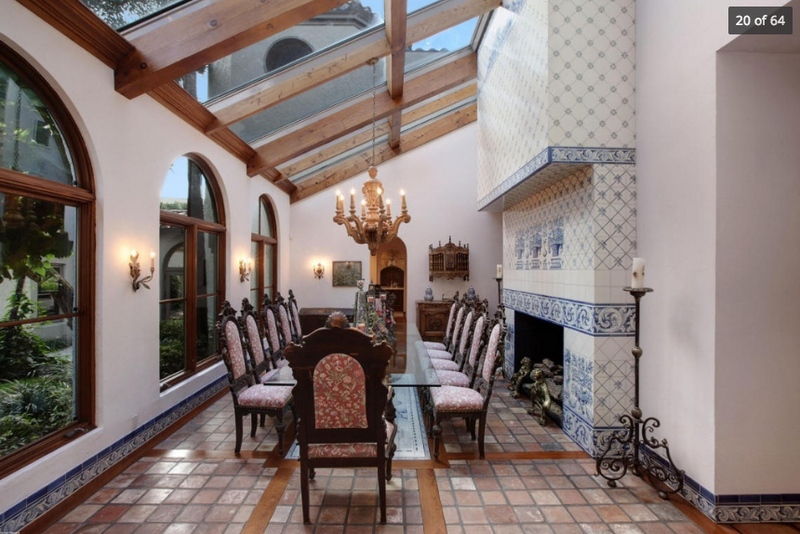 It features approximately 16,000 square feet of living space with 7 bedrooms, 7 full and 1 half bathrooms, foyer, 2-story great room, formal dining room with with skylights, gourmet kitchen, breakfast room, family room, 3+ car garage and more. 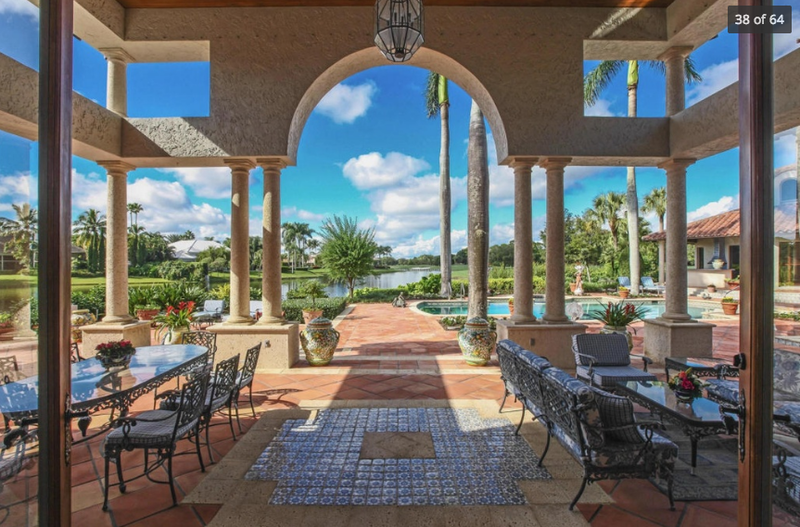 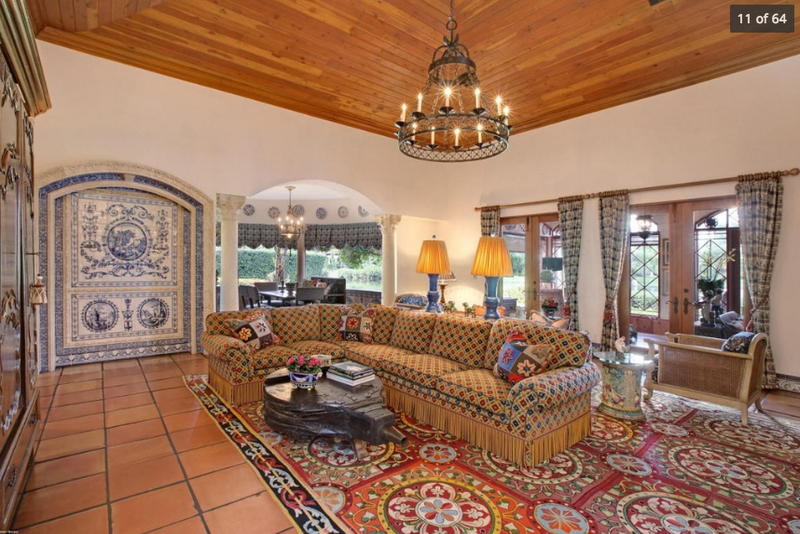 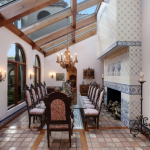 Outdoor features include a porte-cochere, courtyard, grand covered loggia, covered patios, BBQ/summer kitchen, swimming pool with spa and a pool house.